Al Capone was brought to Chicago from New York in late 1919 to help Johnny Torrio, his mentor, operate a network of brothels and gambling establishments. Torrio negotiated an agreement among the various gangs to cooperate, rather than fight over territory, but it fell apart in late 1924. The resulting Beer Wars drove Torrio to hand over the business to Capone. By late 1926, Capone’s syndicate had become the alpha gang, and he became the symbol of the lawlessness in Chicago. Convicted of tax evasion in 1931, Capone received a sentence of eleven years. His health had been badly damaged by syphilis, so he was released on November 16, 1939. Unable to take care of himself, Capone lived with his family in Miami Beach, Florida until he died from a heart attack on January 21, 1947. Alphonse “Al” Capone’s parents had emigrated to the United States from Naples, Italy in 1893. One of nine children, Capone was born in Brooklyn on January 17, 1899. The constant turnover of foreign overlords had bred a deep-rooted distrust of authority in Naples. Unlike the Mafia in Sicily, the Camorra in Naples was much more secular, existing simply to blackmail everyone and serve as political fixers. Since the Camorra were content to keep the city functioning smoothly as long as they got their cut, successive governments relied on them to keep order. Therefore, it should come as no surprise that Capone viewed the government as an institution to be bribed and avoided, not respected. As uneducated, non-English speakers, Italian immigrants had to settle for the worst jobs, while living in filthy, overcrowded tenement slums damaged the children’s health so badly that 35% of Italian-American children were rejected for military service in WWI. Since the children usually left school early to work, they had fewer opportunities to escape the slums. Rejecting their parents’ acceptance of poverty, many kids embraced the freedom of street gangs. Although most kids outgrew their youthful love of troublemaking, many graduated to lives as professional criminals, combining the Italian tradition of secret societies with American big business. Capone’s parents eventually moved to a better part of Brooklyn, near the headquarters of Johnny Torrio, a successful owner of several brothels. Although willing to have opponents killed, Torrio preferred to avoid the waste of resources, and settle matters through diplomacy. 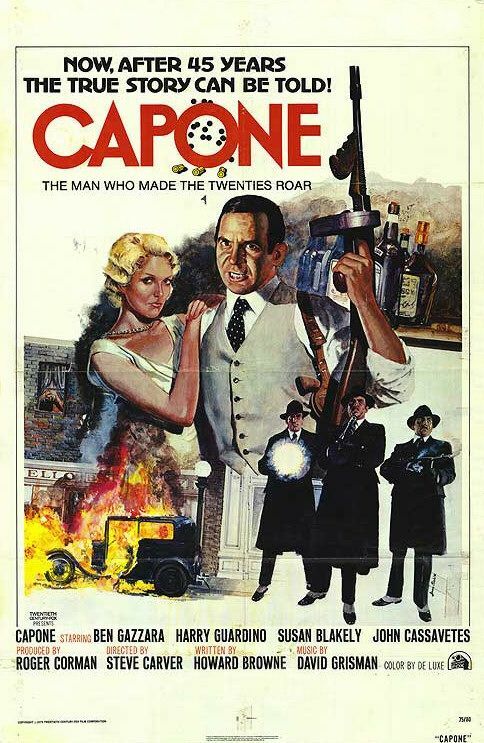 After being forced to repeat the sixth grade, Capone quit school when he was beaten by the principal for hitting a teacher, and he became an errand boy for Torrio. As his trust in Capone deepened, Torrio introduced him to more violent acquaintances like Frankie Yale, who had organized protection rackets in several industries. Capone received three knife scars on his face when he was a bartender and bouncer at Yale’s Harvard Inn, after he made a comment about Frank Gallucio’s sister. Gallucio continued to live because his patron Lucky Luciano had a meeting with Yale, where it was decided that Capone had deserved the cuts and should not seek revenge. Capone married Mae Coughlin, an Irish girl two years older than him, on Dec. 18, 1918. Given the racial antagonism that existed between the Irish and the Italians, it seems unlikely that her parents were thrilled by the match but she either won them over or did not ask, since the age of consent for women was only 18 and she was 21. Fear of being drafted may have encouraged them to get married early, especially since she gave birth to their son Albert, nicknamed Sonny, two weeks before the wedding. At first, he gave up bouncing for a respectable job as a bookkeeper for a construction firm in Baltimore but after his father died suddenly from a heart attack in November 1920, he accepted Torrio’s call to come to Chicago, bringing his wife and son with him. Chicago was considered to be an open city, therefore judges, juries, police and many reporters regularly took bribes, and it was an accepted part of doing business in the city. Mayor William “Big Bill” Thompson permitted gambling and prostitution in exchange for contributions to an association used as a collection agency. During the first decade of the 20th Century, Chicago had roughly a thousand brothels, and James “Big Jim” Colosimo owned a large portion of them, importing hundreds of women into the city through a network of white slavers. In 1909, Colosimo called in Torrio to help him deal with the Black Hand, who were trying to extort him because of his successful brothels. The Black Hand had no relation to the Mafia, but successfully extorted peasant immigrants with the threat of bombing their homes and businesses until the Federal government gave five-year sentences for mail fraud in the 1920’s. Although often described as Colosimo’s nephew, no evidence exists of a familial relationship between the two men, and it may have been a term used to show their close relationship. Aside from eliminating several groups of Black Hand blackmailers, Torrio proved to be an organizational genius, and helped Colosimo expand into the protection racket. In fact, Torrio’s management skills ensured that Colosimo survived the local crackdown on prostitution and the federal assault on white slavery that followed the passage of the Mann Act in 1910. Colosimo was persuaded by Torrio to move prostitution outside of the city to small towns, where the local police were easily bribed. Roadhouses were even placed a few feet from the state line so that the prostitutes could run across the line if there was a raid. Torrio’s successful management combined with Colosimo’s links to Mayor Thompson, made Colosimo king of the vice lords in Chicago. Although he oversaw protection rackets and rotated women through brothels like cattle, Torrio was a dedicated family man who kept regular hours and was faithful to his wife. At the same time, Torrio started to build up his own organization, and he sent for Capone in late 1919. Capone performed a variety of jobs, body guard, chauffeur, and brothel tout. After Colosimo fell in love with a young singer in 1920, he became more interested in spending time with her than defending his territory. The timing could not have been worse, since Prohibition had come into effect on January 16, 1920 and offered huge profits through the illegal sale of alcohol. Just when Torrio needed his active participation to ensure that other gangsters did not block his entry into the bootlegging business, rivals were whispering that Colosimo had gone soft. When Colosimo was killed at his club on May 11, 1920, police believed that Torrio had paid Frankie Yale $10,000 to carry out the murder. Since Yale had ambitions of his own, he may have hoped to gain control of the vice rackets in Chicago, although why he would have thought that Torrio would have rolled over is unknown. Regardless, Yale made no inroads in Chicago. Recognized as Colosimo’s successor, Torrio expanded his operation, relying on bribery and intimidation to establish whorehouses and gambling establishments in small towns just outside of Chicago. His main rivals were the O’Banion gang, based in Northeast Chicago, and the Gennas, a Sicilian family who obtained their bootleg liquor from hundreds of small copper stills in local tenements and shops in the South Side. In 1920, Torrio negotiated an arrangement with the other gangs (including the O’Donnells and the Druggan-Lake gang on the West Side, the Saltis-McErlane gang on the Southwest Side and Ragen’s Colts on the non-Italian part of the South Side) where they avoided conflict by staying out of each other’s territory and supplying each other’s needs. O’Banion sold Torrio whiskey smuggled from Canada, and Torrio sold him beer from the several breweries that he had gained an interest in. The brewery owners had accepted him as a partner in order to obtain access to the political connections needed to continue operating. Fortunately, the Gennas only wanted to maintain control of the alky-cooking industry in Little Italy, which held no attraction for O’Banion or Torrio. If one gang violated the agreement, the other gangs would combine to discipline the violator. Everything went smoothly for three years until Spike O’Donnell was released from prison in the summer of 1923. The O’Donnell gang (no connection to the West Side O’Donnells) had not been included in the treaty because they were considered too disorganized to be a threat. Angered at being denied their due, they started hijacking Torrio’s beer trucks, and expanding into his territory and that of the Saltis-McErlane gang, which had accepted Torrio’s leadership. Despite Spike’s aggressive nature, the small gang was doomed from the start. Following the death of seven members of O’Donnell’s gang and ten separate assassination attempts, Spike left Chicago in October 1925. After graduating from managing small brothels to running the Four Deuces bar, Torrio’s headquarters, Capone quickly became Torrio’s right hand man, and he was a partner within two years. Capone respected Torrio’s judgment on when to use violence, and Torrio relied on Capone’s skills at physical intimidation. As his financial situation improved, Capone began bringing his family to Chicago, where he found jobs for them. His first arrest was for crashing into a parked taxi in August 1922, and threatening the taxi driver in a drunken rage, but political connections ensured that the charges were dropped. Once he was living with his family again, his drinking slowed down, and there were no encounters with the law until the evening of May 8, 1924, when he killed a free lance hijacker, Joe Howard, for slapping around Jake Guzik, Capone’s friend and Torrio’s accountant. 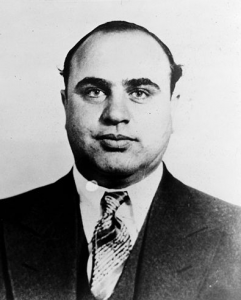 Capone was released after the witnesses were persuaded to change their testimony. When newly elected Chicago mayor William Dever, a reformist, cracked down hard on bootlegging, gambling, and brothels in 1923, Torrio and Capone made nearby Cicero their base of operations. Two hundred goons, including thugs borrowed from friendly gangs in Chicago, were employed to ensure the election of a compliant mayor during the election in Cicero on April 1, 1924, beating and shooting any election official who tried to stand up to them. While the opposition had made a similar arrangement with rival gangsters, Torrio’s negotiations ensured that his opponents were completely outnumbered. After four men were killed and several more badly beaten, outraged Cicero citizens persuaded Cook County judge Edmund A. Jarecki to deputize two hundred Chicago policemen. Since the deputized policemen were not wearing uniforms, Capone’s brother Frank mistook a group of policemen for rival gangsters and opened fire. He died in the shootout, while Al himself barely escaped. The battle between the police and the gangsters lasted all afternoon, but Torrio’s syndicate managed to get their candidate elected. When the new mayor rashly said that he wanted to be independent, Capone pummeled him senseless on the steps of City Hall. The town soon had more than a hundred gambling dens, hundreds of bars, and a hundred brothels, many of which were under the control of Torrio’s syndicate. When a newspaper editor named Robert St. John published an expose on the brothels, Capone’s goons worked him over so hard that he barely survived. After Capone managed to buy control of his paper in 1925, St. John gave up, and left Cicero forever. A citizens action committee disbanded after its members were threatened, beaten and shot. The Syndicate also infiltrated several neighbouring communities and villages that lacked large enough police forces to protect elected officials. Capone and his men gained control of a small village of 300 people called Forest View by thrashing senseless twenty of the leading citizens, who chose to move away rather than risk a more serious warning. Capone’s decision that all of his speakeasies must have live jazz music gave employment to hundreds of black jazz musicians from New Orleans, rescuing them from near poverty and exposing the white clientele to jazz. The list includes Louis Armstrong, Jelly Roll Morton, Duke Ellington, Lionel Hampton, Fats Walker, and Nat King Cole. Capone was a thug, but he apparently was genuinely color blind. O’Banion did not realize that the situation had changed and his enemies would soon have their opportunity to avenge past insults. Merlo died of cancer on November 8, and he was replaced as president of the Unione Siciliane by Angelo Genna, while Torrio and Capone had washed their hands of O’Banion. Although he was a ruthless killer, O’Banion loved flowers, and whenever a well-known gangster died, everybody would buy expensive funeral wreaths from his florist shop for the funeral, which would usually be a lavish affair with thousands of mourners. O’Banion was killed on November 10, 1924, in his shop while preparing wreaths for Merlo’s funeral. Believing the assassins had come to pick up the flowers they had ordered, O’Banion let Mike Genna get close enough to hold his arms while recent Sicilian immigrants John Scalise and Albert Anslemi shot him repeatedly. Realizing that the hit would not have occurred without the tacit approval of the Torrio-Capone syndicate, Hymie Weiss, O’Banion’s successor, swore vengeance on them and the Gennas. Torrio and his wife fled to the Caribbean, narrowly staying ahead of Weiss’ gunmen. Capone himself barely survived an assassination attempt where his car was literally riddled with bullet holes, which led him to buy a custom-made armor-plated Cadillac limousine and travel surrounded by a wedge of bodyguards two or three deep. Torrio only returned to Chicago in mid-January to plead guilty in the bootlegging case from the brewery seizure, hoping things would have calmed down by the time he got out of prison. Given several days to settle his affairs, Torrio took four bullets during an assassination attempt, but lived to see his cozy cell. Aware that open warfare between the gangs would destroy his laboriously arranged peace treaty, Torrio decided to retire. A month into his nine month sentence, he handed over everything to the Capone family, refusing any payment for his shares in the breweries, brothels and gambling operations. 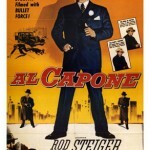 After moving to Brooklyn with $30 million, he began to build a relationship with Meyer Lansky, Bugsy Siegel and Luciano. By 1925, it had became clear that the mayor’s reforming instincts were not enough to overcome the political elite’s connections to gangsters, so Capone selected the seven story Metropole Hotel in Chicago as his HQ, taking rooms for himself and his entourage. Without Torrio’s moderating influence and emphasis on discretion, Capone sought respectability and social acceptance by attending baseball games and prizefights, where he enjoyed the attention he received. Capone was nicknamed Scarface by the press because of three scars on his face. Seeing the value of being a political fixer, he selected gang members to represent him in the offices of the mayor and the chief of police, while he would regularly make the rounds at city hall to meet with officials on his payroll and arrange favors. Half of the Chicago police force was on his payroll by that time. Unlike Capone, most gangsters shunned publicity, including the rest of his brothers, which is why his family has traditionally received little notice, even though they managed much of his operation. The ensuing war between Weiss and Capone forced most of the larger gangs to choose sides. The Irish, Polish and Jewish gangsters supported Weiss, while the Sicilians and other Italians backed Capone’s Syndicate. Brother Ralph oversaw liquor sales, Frank Nitti was the treasurer and link to the Unione Siciliane, and Jake Guzik was the gang’s business manager. Phil D’Andrea was Capone’s favorite bodyguard, while Joe Batters, Paul Ricca, Sam Giancana and Murray Humphreys were rising young stars in the gang, but Jack “Machine Gun” McGurn was his most valued henchman. Weiss and fellow North Sider Bugs Moran finally caught up with Angelo Genna on May 25, and he was buried close to O’Banion’s grave. Mike Genna died on June 13 from wounds received in a firefight with police, who pursued him after he and several other gunmen raced away from a failed hit on Moran. The Gennas had been dangerous allies, as likely to strike at Capone as the North Side Gang, so the deaths of their two leaders paved the way for him to extend his influence into Little Italy’s lucrative alky industry. Disregarding Capone’s preference that his candidate Tony Lombardo replace Angelo Genna as head of the Unione Sicilione, Genna member Samoots Amatuna claimed the position. However, he was killed by Schemer Drucci and Jim Doherty while having a shave on November 13. Drucci was a member of the North Side Gang and Doherty was part of the West Side O’Donnells, and they had worked together because neither gang wanted to face a reformed version of the Genna gang. Amatuna was succeeded by Lombardo. When Capone traveled with his son for an ear operation in New York in late December 1925, he also made arrangements with his former boss Frankie Yale to ship whiskey from New York, where it was easily brought in from Canada, to Chicago. He then stayed in town to attend a Christmas Day celebration organized by Yale at the Adonis Social and Athletic Club in Brooklyn. The Irish and the Italians had been fighting for control of Brooklyn’s waterfront, and a particularly vicious Irish gang leader was expected to cause trouble at the party. After sending for Scalise and Anselmi, Capone ambushed the Irish when they arrived, and the Adonis Club Massacre ended Irish control of the waterfront, as well as showed that Capone had eclipsed his former patron. On April 27, several members of the West Side O’Donnells, including the O’Donnell brothers, went to Cicero for an evening of heavy drinking. Since relations between Capone’s Syndicate and the O’Donnells were heading for warfare because they were pushing into Capone’s territory, this was a rash choice. When Capone learned of their presence in his territory, five cars filled with his men ambushed the group of six revelers, killing two and fatally wounding a third. 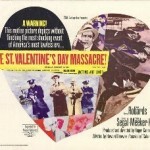 More murders had occurred in Chicago during the beer wars than in New York, even though New York had twice as many people, so the shooting would have attracted little attention, except that one of the three dead men was Assistant State Attorney William McSwiggin, who had sworn to see Capone hang for the murder of Howard. Even though his credibility was badly damaged by the fact that he had been drinking bootleg alcohol with gangsters, the murder won the public’s sympathy, leading to a call for an inquiry. The police soon learned that Capone’s men had carried out the killing but could obtain no proof. Eventually, the investigators concluded that McSwiggin just had the misfortune to be with the O’Donnells on the wrong night, since he had grown up with them. Despite the lack of solid evidence, the police launched frequent raids against Capone-controlled speakeasies and brothels, smashing everything in sight. Seizing the opportunity, vigilantes burned down Capone’s largest brothel, further adding to the serious damage to the Syndicate. Even though ledgers detailing the huge profits involved in gambling, sale of illegal alcohol and prostitution were seized, all of the charges brought by the police against Capone and the O’Donnells were soon dropped for lack of evidence. Meanwhile, Capone had disappeared. Tired of the constant danger and wanted by the police for the murder of state prosecutor McSwiggin, Capone spent the summer of 1926 hiding out in the peaceful Italian community in Lansing, Michigan, where he became so comfortable that he talked about leaving the rackets but he never made a real effort to follow Torrio’s example. Most likely, he simply lacked the temperament to simply walk away from the fighting and retire in another city. Returning to Chicago on July 28, Capone denied killing McSwiggin, claiming that they were friends and that the young prosecutor was on his payroll. After a brief appearance in court, he was once again a free man. After Capone’s men failed twice to kill Hymie Weiss, first on August 10, 1926, and then on August 15, Weiss struck back on September 20. A motorcade of eleven cars pulled up in front of the Hawthorne Inn, and men armed with Thompson machine guns sprayed the inn with bullets, one by one. The shooter in the first car had fired blanks to draw Capone outside the restaurant but his quick-thinking bodyguard pulled him down and saved his life. Stunned by the assassins’ firepower, Capone became a convert to the Tommy Gun. Named after its co-inventor, Brigadier-General John Thompson, director of arsenals during WWI, the gun had been developed too late for the war, and was not adopted by the army or the police. In 1923, model 21A retailed at $175, and a 50 cartridge (.45 caliber) drum magazine cost $21. Oddly enough, unlike other firearms, there were no legal restrictions on owning a Tommy Gun, so it was eagerly embraced by gangsters. A meeting was arranged on October 4 to negotiate a truce, but Capone’s offer of exclusive beer rights to a considerable amount of territory was not enough. Weiss’ demand of the heads of the two remaining Genna leaders, Scalise and Anselmi, was rejected out of hand. Weiss was using the rooms above O’Banion’s old flower shop as his HQ. Two rooms in nearby buildings with a good view of the flower shop were occupied by several of Capone’s men for days until they had an opportunity, and they shot Weiss on October 11 as he was walking towards the shop. He was only 28 years old. Capone then held a press conference where he said that he had had nothing against O’Banion and Weiss but they had gotten too greedy and refused to stay in their own territory, even though there was enough business for everyone. Recognizing the value of publicity, Capone always strived to portray himself as a reasonable man forced to deal with violence. A formal truce was arranged, and members of all of the major gangs attended a meeting on October 21 in the Hotel Sherman, near city hall and police headquarters. All of the participants swore to let previous insults and murders stay in the past and to not take revenge. Moran had succeeded Weiss, and he agreed to remain in the North Side of Chicago. Capone ended up with the south part of Chicago and most of the suburbs, which confirmed that he had become the largest player. The meeting was not kept secret and reporters waited outside the room to hear the results. The treaty was celebrated at the Bella Napoli Café where the rival gangsters told each other of failed hits, and how they had tortured victims. Capone actually made a public announcement on January 23, 1927 that he had retired from the booze business but it soon became apparent that it was just an attempt to distract media attention from his operations. When other gangsters began backing Thompson’s re-election bid, Capone surpassed their contributions to ensure that he received preferential treatment. He then threw himself into the re-election of Thompson, spending $250,000, and using 1,000 hoods. During the pre-election violence, Schemer Drucci and a number of O’Banionites were arrested. When an irate Drucci threatened to kill a detective and tried to take his gun away, the detective promptly shot him dead. However, the police did maintain order by putting 5,000 men as guards for the polling booths, so Thompson pretty much won fair and square. With Thompson in office, city hall was open for business, and Capone had a long shopping list, paying off half of the police force to ensure protection for liquor deliveries and warnings of the token raids held to satisfy reform elements. His presence in the Metropole was expanded to fifty rooms, and he bought cards for his triggermen that said “To the Police Department, you will extend the courtesies of the department to this bearer.” He also became a much more public figure, attending every major public function and sporting events. The Aiello clan had taken over the Gennas’ Alky industry in Little Italy, and they opposed Capone’s choice for president of the Unione Sicilione, Lombardo, so they formed an alliance with the O’Banionites. Four separate free lance hitmen brought in by the Aiellos to kill Capone ended up dead, with McGurn considered to be the likely culprit, while four more Aiello men were also executed. When police detectives caught one of the Aiello brothers as he was preparing to ambush Capone, he was arrested and brought to the detective bureau. When Capone learned of his location, he sent twenty gangsters to force their way in and kill him but they were stopped by detectives. However, Aiello knew that his life expectancy was zero, so when he was released on bail, he and his brothers fled to Trenton, New Jersey. When Mayor Thompson tried to get himself nominated as a presidential candidate, the temporary increase in police pressure convinced Capone to take a break from Chicago. After holding a press conference where he said that he was abandoning the bootlegging business because satisfying people’s demand for alcohol was a thankless job, Capone went to Los Angeles on December 5, 1927 but was kicked out after a couple of days by the chief of police. Fortunately, Thompson had discovered that he had little chance of winning the nomination, so business returned to normal, and Capone made his way back to Chicago. Informed that he would not be welcome in New Orleans, Cuba or the Bahamas, Capone chose Miami as his destination for his next vacation in early January. City officials were not thrilled, but the local economy was in too much trouble to turn him away, especially after he mentioned that he planned to buy property and assured them that he had no plans to expand his illegal activities in Miami. It helped that the mayor of Miami was also a real estate agent, who promptly found a property for Capone in Miami Beach, which was far enough outside the city to qualify as a separate city. Capone also patronized tailors and other merchants who were connected to Miami’s political establishment to improve his social standing. Capone then tried to ensure that Thompson’s candidates won the municipal primary election in April 1928, employing elaborate illegal voting techniques, and old-fashioned intimidation of election officials, including the bombing of the homes of public officials, such as US Senator Charles Deneen, who was backing candidates running against Thompson. Fed up with Capone and the unchecked violence, Chicago voters rejected the previously unbeatable Thompson machine, ensuring that all of Thompson’s candidates lost office. That summer Capone sent men to New York to kill Frank Yale, his earliest mentor, because Yale was secretly aiding the Aiellos’ candidate for presidency of the Chicago chapter of the Unione Sicilione. Yale had chosen sides because Lombardo had stopped sending a share of the profits to Yale, and the Aiellos had promised to be more filial. Furthermore, Capone suspected that Yale was hijacking liquor shipments from New York. When Yale was killed on July 1, serial numbers from the weapons left behind led police to Capone’s landlord in Miami, but no charges were laid against Capone. Yale’s death did little to calm the situation. Having returned to Chicago, the Aiellos killed Lombardo in revenge on September 7, and Lombardo was succeeded by Pasquale Lolordo, while a small-scale war erupted between Capone and the Aiellos. Five months later, Lolordo was killed by the Aiellos, who had been invited to his house for a drink. Joe Aiello became president, and lasted almost a year before Capone’s men ended his life on October 23, 1930. In the summer of 1928, Capone transferred his HQ from the Metropole to the Lexington, taking the fourth floor and most of third. Capone had a private kitchen on the fourth floor, the chef lived next to the kitchen, and tasted everything before Capone. Realizing that no one else had the power, the head of the Chicago Crime Commission personally visited Capone and persuaded him to ensure that the municipal election in the fall of 1928 was honest. Capone ordered the members of his gang to not interfere and had the police put the members of the Irish gangs in jail overnight. As a result, the election was completely free of fraud. By 1929, Capone had evolved beyond simple racketeer to political fixer, relying on his organization’s revenue to ensure that the city government worked to his benefit. The majority of his wealth came from liquor sales, but he had already begun to diversify, even acquiring legitimate businesses. However, racketeering (collecting protection money from business associations) was his second main source of income. Prohibition had existed for ten years and people had overcome their respect for the law, realizing that some laws were unjust, while numerous government institutions were clearly corrupt. Led by Bugs Moran, the O’Banion gang continued to fight Capone, hijacking his trucks and bombing his saloons. An attempt to kill one of Capone’s top gunmen, Jack “Machine Gun” McGurn, had failed in early 1929 and the assassins had been recognized as Moran’s men. 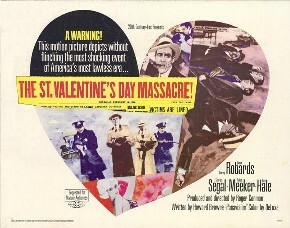 On Valentine’s Day, five of Moran’s men, a mechanic, and an optometrist, who liked hanging out with gangsters, were gunned down in a garage used by Moran, while waiting for a booze shipment. Witnesses saw five men, two of whom were wearing police uniforms, leave the building. The hit was arranged by McGurn, and Capone was in Florida being questioned by the Dade County Solicitor to have plausible deniability. Offended by public opinion that the police had committed the killings, an intensive investigation was launched. Analysis of the shells showed that no police weapons were used. Enough evidence was collected to conclude that Capone had imported killers from the Purple Gang in New York to pose as police officers. This stratagem would convince the gangsters to surrender their guns so they would be defenceless against the remaining three men. Even though Moran was not there, the seven men had to die to ensure that Moran did not know about the trick and who was involved. The five assassins were Fred “Killer” Burke, a bank robber on good terms with Capone, and James Ray, neither well-known in Chicago, and Scalise, Anselmi and Joseph Lolordo, brother of the dead president of Union Siciliane. McGurn had made sure that he had a cast-iron alibi and no one was ever convicted of the massacre. The investigation of the massacre had made Capone a national celebrity and the symbol of Chicago, a city overrun by crime. Entranced by the celebrity, Capone held “off-the-record” chats with journalists and sought advice on handling the press from Damon Runyon, who used the relationship as source material for articles and stories. Runyon persuaded Capone to be photographed while visiting prizefighter Jack Sharkey’s training camp in Miami. When the original promoter suddenly died, he took over promotion of the fight to improve his reputation in the city, but the fact that he was now a major player in both Chicago and Miami attracted a great deal of unwelcome attention. Joseph Giunta had become president of the Unione Siciliane with Scalise and Anselmi as his vice-presidents. Instead of being loyal to Capone for giving them the opportunity and refusing to accept peace with Weiss at the price of their lives, they began to act big. Given their lethal effectiveness as assassins, evidence would have to gathered and discipline handled very carefully. After one of Capone’s trusted subordinates gained proof that they were plotting against him, they were lured to an extravagant banquet, where they were wined and dined until the three men’s arms were suddenly pinned and Capone beat them bloody with a baseball bat. Almost all of their bones were broken and then each man was shot in the head. Capone and Torrio were among the thirty gangsters that attended the gangster convention in Atlantic City from May 13-16, 1929 that welded together Italian, Sicilian, Irish, Jewish and Slavic gangsters to establish the Commission. 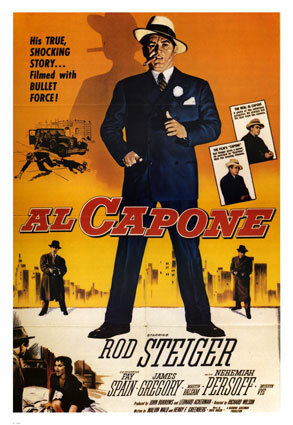 When a request to reduce his public presence produced a tantrum, Capone was ordered to dismantle his syndicate, let Aiello control the Union Siciliane and put Torrio in charge of the Commission, which would absorb Capone’s organization. He refused but he knew that his life was in danger. Aside from the sudden threat from the New York gangsters, Bugs Moran still plotted against him, and many Sicilians wanted him dead to avenge the three Union Siciliane leaders he had just killed. Concerned that he might not return alive to Chicago, he arranged to have a friendly police officer, James “Shooey” Malone, arrest him for possession of a concealed weapon. Unfortunately for Capone, his plan backfired, and instead of the minimum sentence of three months that he expected, he received the maximum, a year. Most of that time was served in a prison where a sympathetic warden gave him a comfortable cell, light work duties, and unlimited visiting hours, which enabled him to keep control of his operation. His sentence was even reduced by two months for good behavior. When Capone got out of prison, he found that just like everyone else, the Depression had really cut into business. He became famous when he was ranked first on a list of 28 Public Enemies produced by the Chicago Crime Commission. While it had no effect on his operations, the notoriety made it harder for him to move openly in society, and he was arrested several times in Miami on vagrancy charges as part of an effort to drive him out of the city. Chicago’s leading citizens wanted the gangs cleaned up before the 1933 World Fair, which would be held in Chicago, and lobbied newly-elected President Herbert Hoover. Since Capone was the poster boy for Chicago bootleggers, Hoover made his arrest a priority. The task of putting Capone in jail was given to Treasury Secretary Andrew Mellon, who launched a two-pronged assault that consisted of a special unit of Prohibition investigators and a team of Internal Revenue Service (IRS) agents. Treasury Agent Elliot Ness had been given command of a special unit of Prohibition investigators in November 1930 because the original Prohibition Unit was widely considered to be corrupt. Even though the department had more than a thousand officers, Ness could barely find enough men with integrity to fill a squad of twelve. 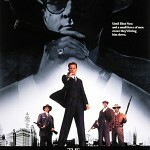 After Ness refused a bribery attempt by a representative of Capone, the press started calling his unit the Untouchables. Ambitious and fond of publicity, Ness embraced the media attention. Since Capone’s Syndicate relied on massive payoffs to avoid police interference with liquor shipments, little effort was made to conceal deliveries. Following a trail of empty beer barrels from saloons, Ness’ team soon found a network of breweries. The first raid occurred on March 11, 1931, and six breweries and five beer distribution plants had been seized by March 1932. The less blatant and more dangerous threat was the IRS, and Capone’s organization was the ideal target, since the gangsters never filed tax returns. Unlike Ness, the IRS investigators did not advertise their movements by bringing the press along on every raid. A group of IRS agents under Frank Wilson was sent to Chicago in January 1929 to investigate Capone. Their mission was so secret that Wilson did not even tell his wife who he was investigating. The IRS had already targeted the Syndicate. A zealous IRS agent had filled out all of the paperwork for Ralph Capone, but he was too cheap to pay the token amount of $4,065.75, even though that was a fraction of his wealth, which had been meticulously studied in preparation for the case. The IRS now had grounds to arrest Ralph, and he received a sentence of three years in April 1929 for defrauding the government, a little-used statute that dated back to the Civil War. The evidence from that trial eventually enabled the IRS to put Jake Guzik in jail for five years, and Frank Nitti for 18 months. Guzik had been convicted on November 18, 1929 and Nitti was convicted a month later. The gangsters were caught completely off-guard because bribery and intimidation had proved so successful before. Furthermore, they simply refused to believe that the government required people to declare income for all sources, both legal and illegal, so any suggestions to solve the problem by paying the tiny amounts were ignored. Ralph’s indictment prompted Capone to hire a tax lawyer but he still continued to underestimate the threat of the IRS. Capone himself proved harder to get since he had no bank accounts, no property in his name, and always paid cash. The IRS had to contact his tailor, check his hotel bills, the value of his cars, and even how much he had paid for a gold-plated dinner service. The investigators came up with a sum of $165,000 but it was not enough, and the legal basis of expenditure as grounds for conviction was not solid. IRS agent Mike Malone managed to infiltrate Capone’s gang by posing as a burglar on the run from Philadelphia, but hard evidence was difficult to obtain, and any important potential witness either hated the government or was terrified of Capone. Alfred “Jake” Lingle was the top crime reporter in Chicago because he had access to both crime bosses like Capone and police officials like Police Commissioner William Russell and Deputy Commissioner John Stege. When he was assassinated on June 9, 1930, the Chicago newspapers put up $55,000 as a reward for information leading to the murderer’s conviction. During the investigation, it turned out that Lingle had maintained a lavish lifestyle on a modest salary, despite having lost everything on Black Thursday, because he was a fixer between Capone and City Hall. Russell and Stege resigned from the police, and it quickly became known that a number of reporters had been working with gangsters. It later emerged that Lingle was killed because he had demanded too large a cut from a gambling house under Moran’s protection. The assassination had been arranged by Jack Zuta, and when Zuta was killed by men believed to be working for Capone, the police found enough records in two of Zuta’s safe-deposit boxes to arrest several gangsters. They also found a detailed listing of a surprisingly broad web of payoffs to police and politicians. As the Depression continued to hit Chicago hard, Capone funded a huge soup kitchen, and he was world famous by 1931. While the soup kitchen succeeded in improving his public image, it also distracted attention from the fact that he had raised the wholesale price of beer even though production costs remained the same. At the same time, he no longer had serious rivals in the Chicago underworld. Capone solidified his position among other gangsters by hosting the peace conference that ended the Castellammarese War (1929-1931) for control of the Mafia in New York City. Two years ago, the various mob leaders had wanted to take his territory away from him but now he was publicly acknowledged as head of the Chicago Family, ending the enmity between Capone and the Mafia. However, Capone’s situation was not as secure as it appeared. The IRS agents were relentless, and they gradually found witnesses. Edward O’Hare, Capone’s partner in a dog track, gave information in order to win admission for his son to Annapolis Naval Academy, despite the risk to his own life. His son became a naval pilot during WWII, but died in combat, and Chicago’s International Airport was renamed O’Hare Airport in his honor in 1949. A cashier named Fred Ries had converted the winnings at one of Capone’s biggest casinos into cashier checks. He had an uncontrollable fear of insects and was convinced to testify after spending five days in a jail cell filled with bugs. His testimony helped ensure Guzik’s conviction. A thorough examination of ledgers seized in various raids helped paint the picture of the finances of Capone’s administration but solid evidence had failed to appear even though Wilson had spent exhausting months in Chicago and Cicero, investigating banks and tracking down every possible lead to evidence of Capone’s wealth. Wilson and his tireless assistants had examined well over a million documents, and only achieved success when Lou Shumway, a key bookkeeper for the Syndicate, was arrested in February 1931. Apparently, Capone actually imported gunmen to kill the IRS agents investigating his taxes, but they found out, and he was persuaded by his advisors to call it off. Suitcases of money were thrown at Washington power brokers, but they simply took the money and did not help him. Furthermore, his political base in Chicago was rapidly eroding. Although Thompson had beaten Judge John Lyle, a prominent and vocal critic of Capone, during the Republican primary, he had lost the 1931 election to Anton Cermak. While he had little interest in challenging gangsters, Cermak did not cooperate as closely with them as Thompson had. On June 5, 1933, a grand jury indicted Capone for income tax fraud. Capone’s lawyers persuaded the District Attorney’s office to give a lighter sentence of two and a half years if Capone pleaded guilty. Instead of praising the government for its hard work, many newspapers criticized it for only being able to arrest Capone for tax evasion, even though he was a famous criminal who openly flaunted his power. To Capone’s surprise, Judge James Wilkerson refused to listen to District Attorney George Johnson’s recommendations and was determined to convict Capone, who was allowed to change his plea to not guilty. An attempt to influence the jury failed when police informant O’Hare obtained the names of the jurymen that Capone had successfully bribed or threatened. Warned by Wilson and Johnson, the judge simply switched juries at the beginning of the trial, which caught Capone’s expensive team of legal eagles unprepared without any explanation of the source of Capone’s riches, and why he had not paid any income tax. The trial attracted top reporters from all over the country, including Damon Runyon. O’Hare was assassinated on November 8, 1939, presumably for being an informant. The painstaking preparation of the IRS investigators paid off, and they were helped by the fact that Capone’s purchase of the house in Miami was legal, even if the house was in his wife’s name. The prosecution also presented records of money transfers from Chicago to Miami, testimony from contractors who had expanded the house and his huge bills for renting suites in first the Metropole Hotel, and then the Lexington Hotel. His body guard Phil D’Andrea had spent each day sending intimidating looks at witnesses, several of whom suddenly had trouble remembering their previous testimony, so he was frisked by police. When a pistol was found, D’Andrea was charged with carrying a loaded weapon in a courtroom, which reinforced the image of Capone as a thug rather than a celebrity. After eleven days of trial and nine hours of deliberation by the jury, Capone was found guilty of tax evasion. Expecting a heavy fine and a jail sentence of a few years, which would enable him to maintain control of his operation, he was stunned by the sentence of eleven years, since it was a new record for income tax evasion. Capone never really grasped that the country’s mood had changed because of the Depression. Filing income taxes was still rare, since most people did not earn enough to qualify and no taxes were withheld as part of the salary. Furthermore, most people did not have checking accounts, so bookkeeping was not widespread. From Capone’s perspective, he had not paid his taxes before and no one had complained, so what was all the fuss about. He did not understand that with much of the country thrown out of work by the Depression, the permissiveness that had flourished during the 1920s had been replaced by a powerful morality and desire for justice. Most important, his defense team had relied on bribing the jurors, rather than actually defending Capone by pointing out that he had offered to pay his income taxes and the government had refused to let him. Since his location in Florida was known to the police, he could not be accused of evading the law, therefore it was clear that the government was deliberately pursuing him on tax fraud because he could not be charged with violating the Volstead Act. A legal defense that employed this approach might have changed the jury’s opinion of him. The first year of his sentence was served in a county jail where favorable treatment from the warden enabled Capone to continue to run his business, using the jail’s telegraph and phone, as well as receiving visits from members of his organization. After a year in county jail, he was supposed to be sent to Leavenworth, where countless gangsters, including Guzik, Nitti and brother Ralph, were serving time, but the attorney general did not want them to associate with each other, so Ralph was transferred to another prison. Rumors of Capone’s preferential treatment had begun to spread, and when newspapers learned that the prison warden was driving Capone’s Cadillac, he did not receive any special treatment when he was finally transferred to a federal penitentiary in Atlanta. By December, he could only be visited by his wife, mother, son and lawyers. Capone was assigned to share a cell with a safecracker named Red “Rusty” Rudensky, who Capone had known during the early bootlegging days, and became his right-hand man. Capone was admired by the other prisoners, and regularly received a standing ovation during prison shows. Only a tiny minority of the prisoners wanted to make trouble for Capone, but most of them realized it was not worth the retribution. Capone arranged for cash to be smuggled to him in prison, which he used to buy favors from the guards, and to pay prisoners to be his bodyguards. He worked eight hours a day cobbling shoes, and played tennis to relax. As time passed, Rusty’s experience and emotional support helped Capone accept the grim reality of a long-term prison sentence. Diagnosed with both syphilis and gonorrhea, the syphilis was too far gone to be cured and would eventually kill him, after gradually destroying his memory. Capone had known that his mistress had syphilis, but was terrified of needles, and refused to have tests taken. He may have caught syphilis from a visit to a local prostitute as a teenager. Syphilis eventually causes violent mood swings, which would explain his gambling addiction and brutal nature during his later years. The gonorrhea was less serious and was treated by weekly prostrate massages. While Capone was in prison, his brother Ralph was released in February 1934 after serving two years. Although he had been a model prisoner, he immediately returned to his former life in the rackets. Nitti spent more than a year in prison and was released in 1932. Guzik was released in December 1935 and rising star Humphreys got out a year later. However, the easy days were over. There was less money during the Depression and Roosevelt’s repeal of the 18th Amendment took away the Syndicate’s largest revenue channel. Capone’s appeal failed, and he was transferred to Alcatraz, which had just been transformed into a civilian prison, intended to keep influential prisoners isolated from general prisoners. Capone was stunned to learn that he was selected to be among the first experimental group of prisoners sent to Alcatraz, where he was assigned to a cell by himself, like everyone, and only allowed one visit a month by two blood relatives. The warden quashed every attempt to win special favors, so he lost face in front of the other prisoners. Although Alcatraz was intended as punishment for Public Enemies, there were not enough of them to fill the prison. However, wardens of other prisons used the threat of sending prisoners to Alcatraz to keep order, which successfully reduced the rates of riots, killings, and escapes. Life in Alcatraz was harsh, and the prison was run without any belief in reforming the prisoners. Talking was forbidden, except in the yard, therefore many prisoners went “stir crazy,” and a number tried to commit suicide. Capone ended up spending eight days in the hole for fighting with another prisoner, who was angry at him for not taking part in a protest by the other laundry workers. After he refused to participate in another strike, a prisoner stabbed him in the back with a pair of scissors. Capone began displaying symptoms of syphilis on February 5, 1938, and he was released on January 6, 1939 to spend the remaining ten months in a prison near Los Angeles. After his release on November 16, he spent the winter receiving treatment in Baltimore, and then retired to his house in Miami, where he gradually lost contact with the world as the disease ravaged his body. While in Alcatraz, he had been unable to maintain control of the business, and after he was released, his brain had been so badly damaged by syphilis that the family concentrated on keeping him as healthy and happy as possible. Visitors were surprised by his health, his only symptom seemed to be a severe memory loss. His eldest brother, Vincenzo, had run away from the family when he was sixteen, and had settled in Nebraska under the name of Richard “Two-Gun” Hart. A successful lawman, he had been caught stealing from local merchants and lost his job. Driven by financial desperation, he had sought help from Ralph and had reunited with the family, even bringing his three sons to meet their relatives in Chicago. Ralph remained head of the family. Capone died on January 25, 1947 after a week long battle with pneumonia. He was one of the few gangsters who died in bed. He had almost nothing to his name and his wife would be dependent on the generosity of the rest of the family for the rest of her life. A gang of teenage hoodlums cooperates with adult hijackers during Prohibition and soon seizes control of the city’s underworld, thus attracting the attention of both the police and the Mafia. Following a confrontation with a gangster, a dancer heads for Hollywood where a role in the gangster movie Scarface sets him on a path to stardom. 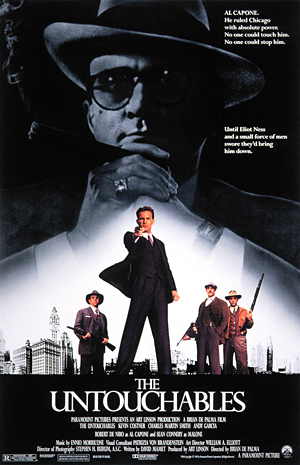 Childhood friends Lucky Luciano, Frank Costello, Bugsy Siegel and Meyer Lansky gradually build a crime empire in New York while playing more established gangs against each other. Capone: the Man and the Era-Laurence Bergreen, New York: Touchstone, 1994. Bergreen comes out very strongly against Prohibition, which seems logical given the loss of life it caused. The book is an in-depth examination of Capone’s life but there is too much speculation. A considerable number of pages are devoted to Capone’s lawman brother and the fate of Eliot Ness, although the section on Ness is an interesting look at the ironic life of such a celebrated lawman. The several gang wars receive surprisingly little attention, and Bergreen’s obsession with trying to figure out what was going on in Capone’s head can be a bit wearying. While there is little doubt that Capone had caught syphilis at an early age, how much of his violence was due to the disease is unknown, and Bergreen’s claim that Capone was a cocaine addict is based on a medical examination at Alcatraz but without a single corroborating statement by anyone who knew Capone. This is simply inexcusable since Bergreen attributes much of Capone’s behavior to his supposed cocaine addiction. Furthermore, he claims that Capone was actually an underling of a gangster based in the Chicago Heights, while providing very little evidence. It is entertaining book but it would have benefited from a more rigorous editor. To his credit, Bergreen does show that Capone’s business sense separated him from his rivals and that he simply could not grasp that the public’s acceptance of flamboyant gangsters was a temporary situation that ended with the Depression and the repeal of Prohibition. Also, the efforts of the IRS investigators and the actual trial are well-presented. 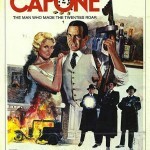 Capone: The Life and World of Al Capone-John Kobler, Greenwich: Fawcett Crest, 1971. Kobler has produced a solid, well-researched look at Al Capone’s rise to power, feuds with other gangsters and eventual downfall due to non-payment of taxes. The IRS investigators’ mammoth efforts to find the evidence to convict him receive the attention that they deserve. The author presents the environment that Capone and his fellow gangsters operated in, but aside from explaining the origins of Prohibition and the means by which liquor was either smuggled or made illegally, he focuses primarily on Chicago. He provides an excellent analysis of the widespread corruption in city hall and the police department that enabled the gangsters to thrive. An excellent resource for anyone interested in Capone and Chicago gangsters. The Outfit: The Role of Chicago’s Underworld in the Shaping of Modern America-Gus Russo, New York: Bloomsbury, 2001. An incredibly in-depth study of the Outfit that manages to explain every aspect of the organization without seeming condescending. Simply a superb book, with brief histories of the major players, clear explanations of the environment they operated in and the interweaving relationships, which sounds easy, but is actually the result of dedicated research. At times, it is a bit too much like a textbook, with the chapter on gambling divided into sections on card-games, dice games, roulette, and coin-operated devices, but that approach just makes it an indispensable reference. However, it can be overwhelming. The details of corruption, the cunning plans, and explanations of how the mob was in bed with politicians, businesses and Hollywood pour out in such a powerful wave that you feel like you are being pummeled, leaving the reader drained by the end. Not a one-stop book since it is naturally a little light on the New York side. The author’s mini-rant about how Kevin Costner has made a career out of historical misrepresentations was quite accurate and enjoyable.